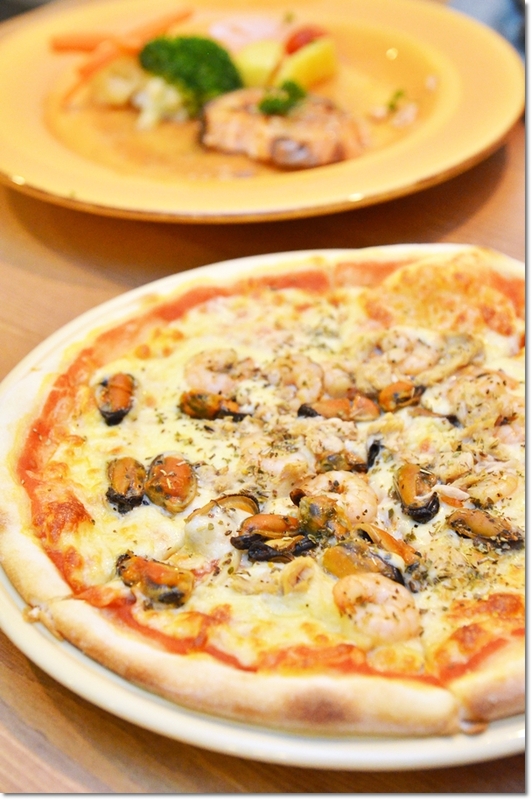 Seafood Pizza (RM18/USD6 for Regular) – A handful of mussels and shrimps on a very lightly-glazed base of tomato puree and cheese. Seven days of silence. Not uncommon given the patchy track record of one post every week, or fortnightly during the past quarter. The reason behind the hiatus this past week however … was more than mere work. I spent a rejuvenating three nights at Golden Palm Tree Iconic Resort & Spa. Actually it was part of the job, but still …. how could I not be swayed by the thoughts of waddling in the infinity pool, kicking back and sip on the refreshing water from a young coconut and roll around in bed all morning? Then the week took a sharp 180 degrees turn and led me to an intense, adrenaline-charged finale of a Saturday at Le Meridien. 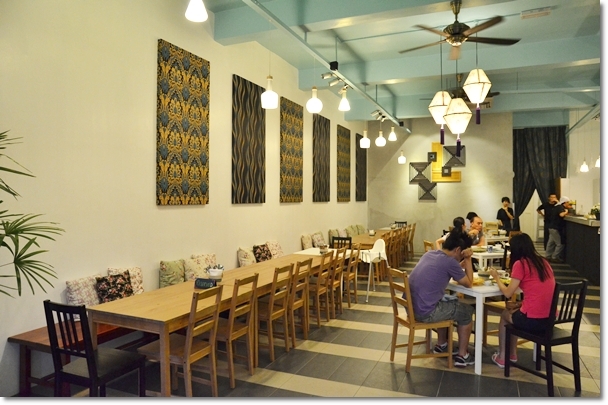 A few months ago, a new fusion-Italian restaurant commenced operations in Fair Park of Ipoh; generating interest almost in the league of fanfare that STG Tea House, Oz Aussie Restaurant and of course, Plan b received in the social media community. Hunting for a new restaurant in Ipoh every other week may not be as easy as it might have sounded. Conventionally misunderstood as a population of picky eaters and labelled as “non-adventurous” when it comes to new cuisines, the variety of restaurants in my hometown is not as ground-shattering compared to Klang Valley’s or even Penang’s. The occasional hype surrounding a new ‘fine diner’ in town usually resulted in either lukewarm response or worse, extremely critical feedback. Can’t deny that the quality of certain new restaurants might have been compromised either willingly or unwillingly; largely due to the restrain in price range that the establishment is able to charge in Ipoh. The mere fact that it has been a really long time since the last Italian restaurant opened (or closed, depending on how you look at things), 42 Foodies’ arrival at the scene was a refreshing change from the slew of fusion-Western restaurants that have been dominating the neighbourhood food scene for a while. Their initial plan was to seek for a premise around Ipoh Garden, near to Fatimah Hospital. However, as luck would have it, the negotiation did not bode well with either party. Thus, the team of two spunky lasses decided to go Italian at Fair Park instead, an area that has been largely neglected as a spot for good food ever since Szechuan Restaurant ceased to serve their signature Szechuan delights after a good two decades. The brawn behind the scene is a cook with years of experience from working at a household name in Klang Valley; Pizza Uno in Subang Jaya. We started off with a platter of starters named Triple Play; not very Italian per se, but still a smorgasbord of everything always seem to work. The BBQ chicken wings were marinated well in the sticky BBQ sauce, then grilled. The fish fritter was a somewhat lazy option but still partially worked with the serving of tartar sauce, but the crostinis or Italian toasts (similar to baguettes) were disastrous with a very salty tomato paste with melted cheese. The Caesar’s Salad with a few slices of grilled chicken was passable but far from memorable, while the Mussel Pot contained fresh mussels but the light tomato-based broth with cuts of carrot and celery tasted a bit off. And yet again, very salty. 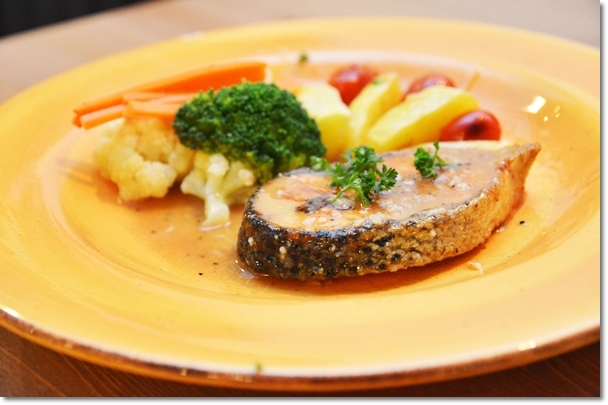 Grilled Salmon (RM28/USD9) – Grilled salmon steak with Neapolitana sauce, poached potatoes and vegetables. The mains were far from impressive; from the lazy aesthetics, portion and even taste. The grilled salmon was a rather petite cut, served with a few slices of potatoes and grilled vegetables. No doubt the flesh was flaky and fresh, while the sauce was one that complements the salmon well, yet personally, this did not check all boxes in my opinion. The pizza was one of Pizza Uno’s best bet. At least, during their hey days in Subang (and they still are very famous), and for a relatively short stint at Jusco Kinta City in the late 90’s/early 2000’s. 42 Foodies faltered in their rendition of a Seafood Pizza though. Disappointingly bland, a general lack of sauce and cheese, and the dough was a chewy mess. 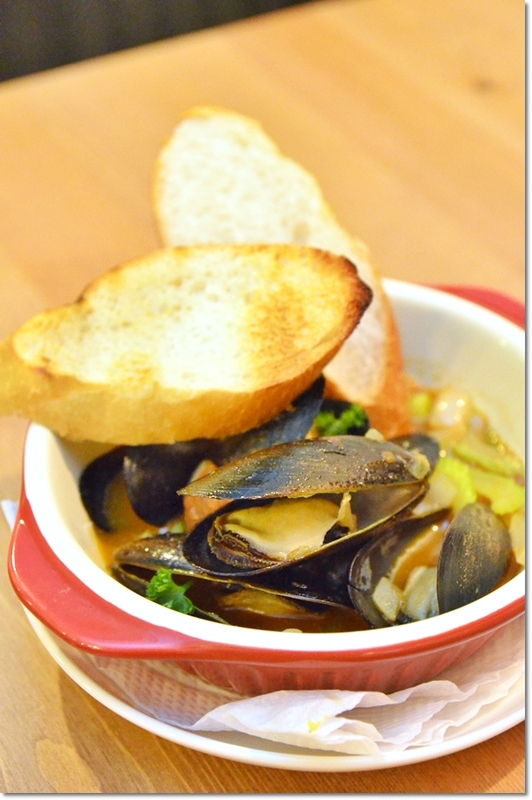 The redemption points came in the form of fresh mussels and shrimps. It could have been the inconsistency, but I was pretty sure that they would excel given the strong support from the Ipoh folks; the place was crowded on that evening we went. 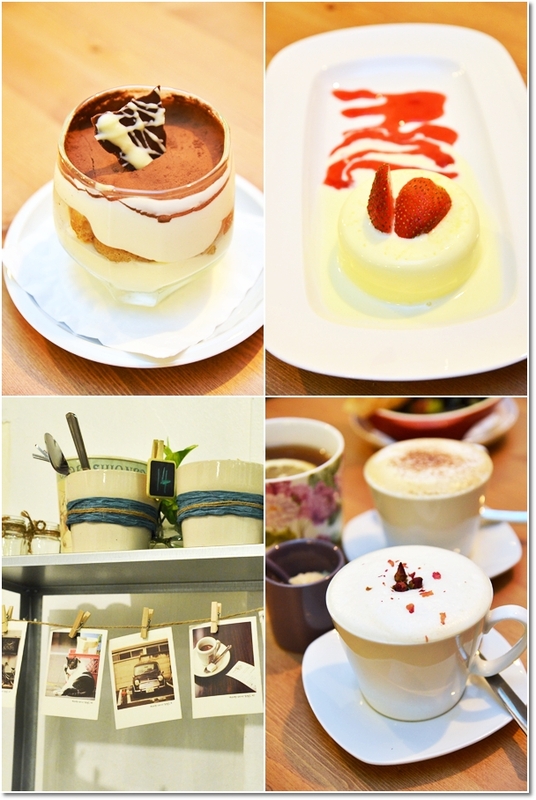 Desserts of Tiramisu (RM12/USD4) and Panna Cotta (RM9/USD3) with Strawberry or Chocolate Sauce, and capping off the meal with a cup of Rose Tea Latte (RM4) or Lavazza coffee. The desserts saved the evening, to some extent. The Tiramisu was pretty okay, while the Panna Cotta was still lacking in terms of texture (slightly rubbery), but the coffee (Lavazza beans) capped off the feast well. I still long for an Italian restaurant in Ipoh that can match the old Italia Mia, but I guess the wait continues …. Situated behind of Petronas petrol station in Fair Park. The shop is exactly behind the row of shops fronting Velodrome Rakyat/Hockey Stadium. We already have an answer to your last statement. Marianis! Yah, Marianis shall be your next tasked review. SSTG was pretty good when I last ate there 3 or so years ago, but stiff pricing. I think I’ll pass on 42 Foodies. Yes , give Marianis a try and review. 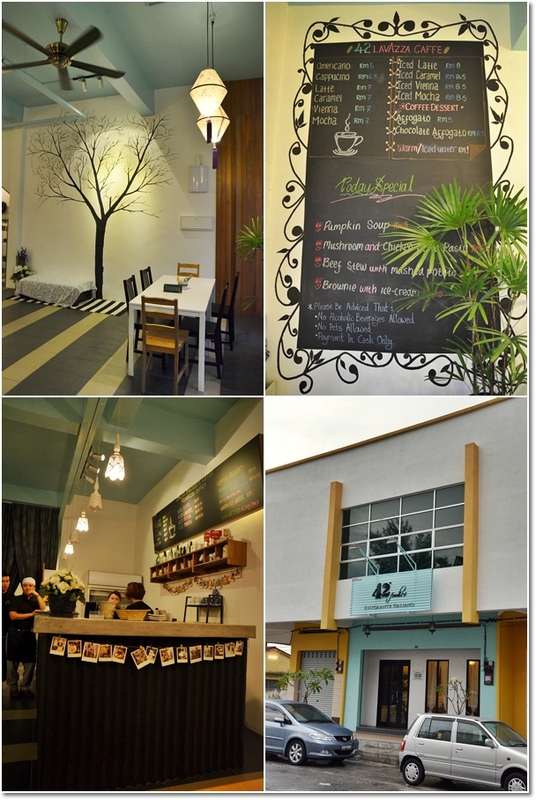 The price can be a bit steep for Ipoh standard but worth it if one appreciates good food. The panacotta and pasta plus pizza all worth a try ! 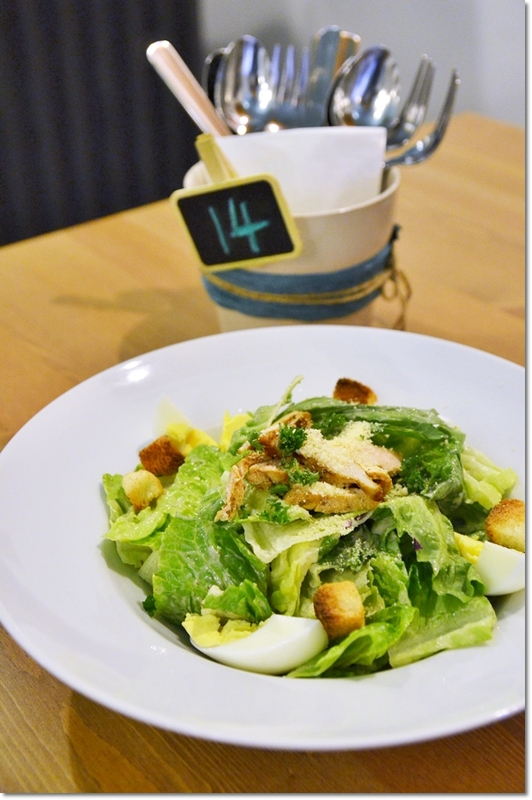 42 foodies is the worst eatery in ipoh. 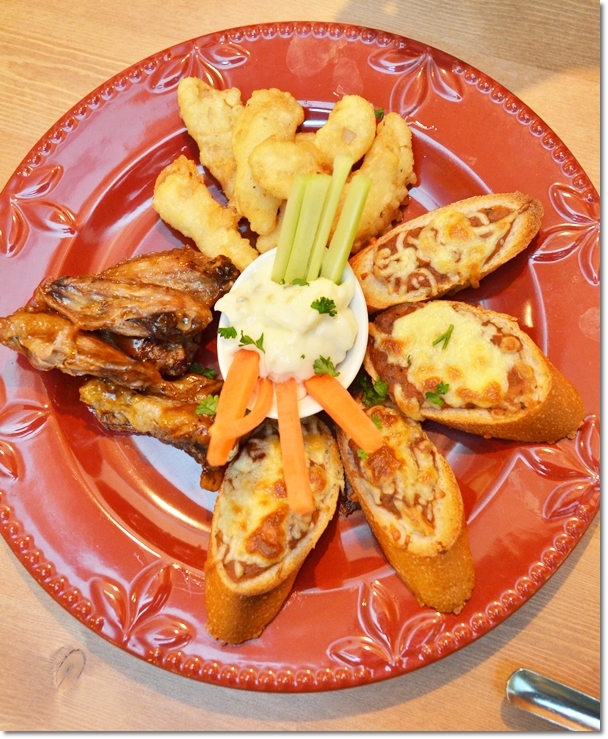 The food – from pizza to spaghetti to chicken dishes to even their drinks is horrible. I wonder how this place still manage to stay in business.